Rehabilitation of the face of young adults afflicted with congenitally missing teeth can be successfully performed. Dr. Chang and his team can use dental implants to support non-removable teeth and bone grafting can fill in areas lacking sufficient bone to create natural looking replacement teeth and an esthetically pleasing smiles. 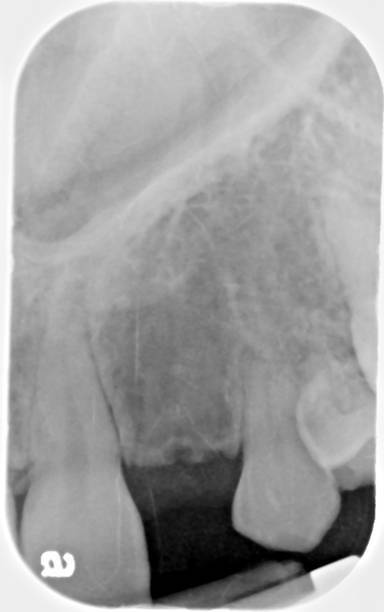 A traditional bridge with the canine and central incisor as abutments. A bridge has the advantage of reduced treatment time. A traditional bridge involves grinding down adjacent teeth to support the bridge. It is a stable solution with good esthetics and function that is fairly easy to install. However, this alternative has two main disadvantages: continuous bone resorbtion in the edentulous area, and sacrificing healthy teeth on behalf of the bridge. A traditional bridge has a 50% survival rate of 10 to 15 years, and 15% of the time endodontic therapy will be required for the abutment teeth. Since prosthesis failure is usually related to caries or endodontic involvement, 8% of abutment teeth are lost within 10 years, and 30% are lost within 15 years. A resin-bonded restoration with canine and central incisor as retainers. A resin-bonded restoration can be considered a transitional prosthesis. It is quickly installed, functions well and, since it is made of ceramic, it gives a high esthetic result. The resin-bonded bridge will eventually come off – probably after just a couple of years – and will then have to be reinstalled. The debonding rate can approach 33% within 2 to 5 years. Orthodontist can move the canine into the lateral incisor position, your family dentist could then fabricate a laminate veneer on the canine to make it appear as a lateral incisor, and a crown on the first premolar to make it appear as a canine. By moving canine to close the lateral incisor space is rarely the treatment of choice. The midline often shifts to the side of the missing tooth. The canine eminence is also lost with this treatment, so a facial depression may be apparent. The canine rarely appears as a lateral incisor, even when a facial laminate or crown is fabricated for this tooth, since its width and length are different than the contralateral incisor. A single-tooth implant is often the treatment of choice to replace a congenitally missing lateral incisor. The implant (and crown) have the highest success rate of any treatment option, the adjacent teeth are usually unaffected, and the aesthetic result is often ideal. Dr. Chang and his team replaced her missing teeth with dental implant supported crown and bridge. This represents the most conservative and natural treatment option since her nature teeth were not damaged in the process (compared to traditional bridge option). It is also a long lasting solution, since dental implants does not develop root decay nor require root canal therapies.